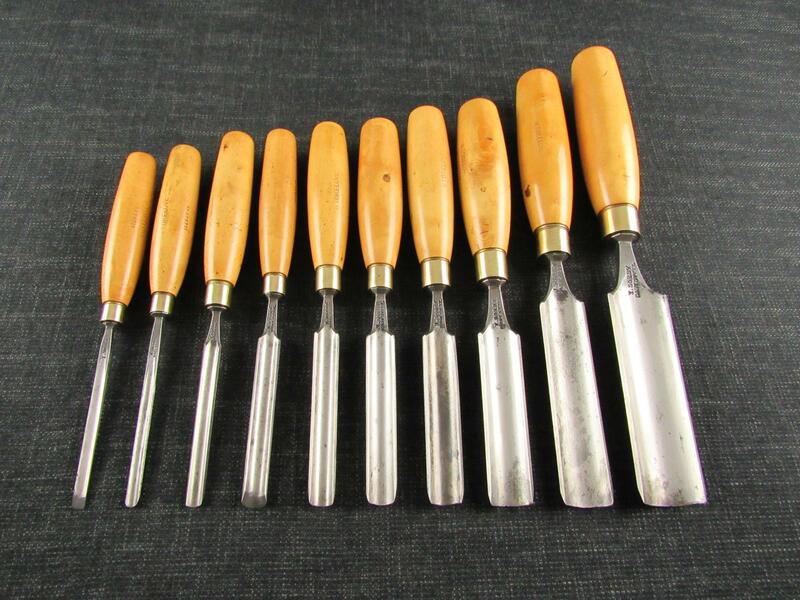 A 3/16 inch cast steel mortice chisel or pig sticker mortise chisel. The blade appears to be solid cast steel rather than laminated as is typical in the larger sizes. Marked WS' on both sides of the blade. Good ashwood handle with leather impact washer.